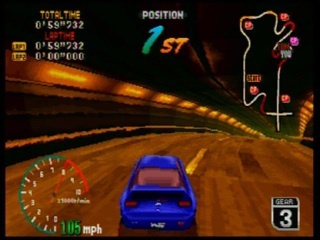 Since people loved the racing games Daytona and Sega Rally so much, they overlooked this other racing game for the Saturn, which was good in its own right and had some original features. 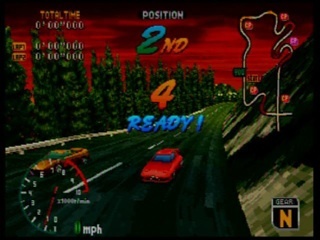 You could race its three tracks on broad daylight, sunset, night, forwards, and backwards. 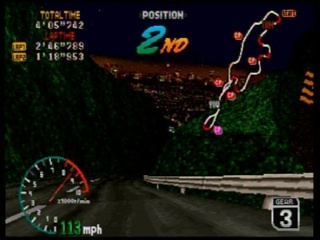 You either had a one on one race with your computer or human opponent or by yourself on a "time trial" mode. 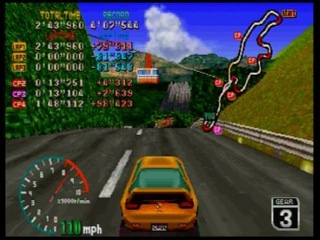 The game took place on the mountains.